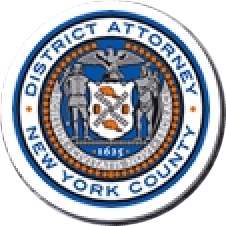 Manhattan District Attorney Cyrus R. Vance, Jr., today announced the trial conviction of LAMAR DAVENPORT, 33, for fatally stabbing his 33-year-old girlfriend, E’Dena Hines, near her Washington Heights apartment building while under the influence of alcohol and drugs. The defendant was convicted of Manslaughter in the First Degree following a bench trial in New York State Supreme Court. He is expected to be sentenced on May 29, 2018. As proven at trial, DAVENPORT and Ms. Hines had been dating for several years at the time of the incident. At or around 3:00 a.m. on August 16, 2015, the two were outside of Ms. Hines’ apartment building on West 162nd Street when the defendant kicked her to the ground, drew a knife from a sheath on his belt, and pinned her to the street. DAVENPORT—who was under the influence of alcohol, phencyclidine (PCP), and other drugs—then stabbed Ms. Hines 25 times in her back, arm, and abdomen. Eyewitnesses called 911, and Ms. Hines was taken to Harlem Hospital, where she was pronounced dead. Police officers apprehended DAVENPORT at the scene. Assistant D.A.s Christopher Prevost, Chief of the Violent Criminal Enterprises Unit, and Peter Casolaro, Senior Trial Counsel for Trial Bureau 70, handled the prosecution of the case under the supervision of Executive Assistant D.A. John Irwin, Chief of the Trial Division. Trial Preparation Assistant Stephanie Littell also provided valuable assistance with the case.